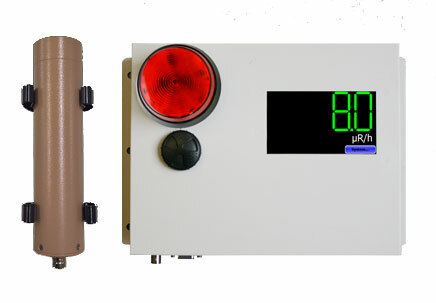 The TBM-IC Mark V is an ion chamber radiation detector for alpha, beta, gamma, and x-ray radiation. 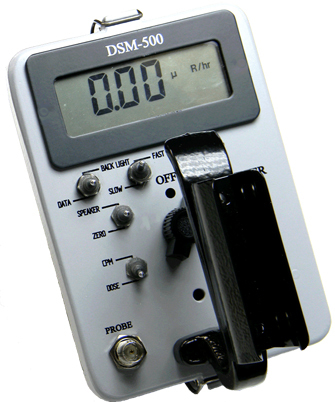 The system is based on stable, mostly drift-free electrometer technology. The survey meter consists of a 2.5 inch diameter x 3.5 inch length air ion chamber coupled to a Mosfet input electrometer. 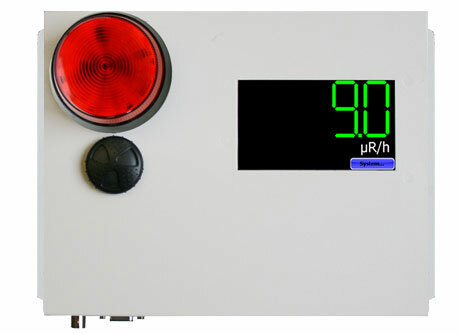 The internal A to D converter displays directly in mR/h or mR. Rate range is 0.1 mR/h to 9.999 R/h in a single range. Dose range is 0.01mR - 99.9R in a single range. 180 mg/cm2 graphite lined methacrylate walls yield accurate air equivalence. 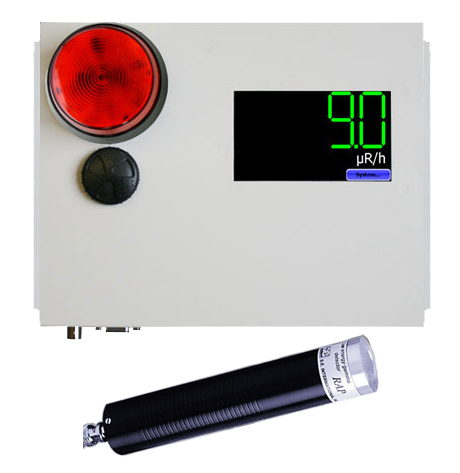 The thin (0.5 mg/cm2) Mylar window allows high sensitivity readings for alpha and for low energy beta such as C14. Additionally, the ion chamber is sensitive to higher energy betas, gammas and X-rays. Wall and Cap: Methacrylate, graphite lined 180 mg/cm2 walls and 540 mg/cm2 cap. Optional 1g/cm2 walls. Window: 2.0'' dia. x 0.5 mg/cm2 Mylar. Rate 8 digit 0.1 mR/h to 9.999 R/h in a single range. Integrate 8 digits 0.01 mR to 99.9R in a single range. Electronics: A-D converter LCD drivers. 10 ea. (Button) NEDA CR-1220 - shelf life 7 years. 6 ea. (AA) NEDA 15A - 1000hr. Weight: 26 oz. complete with batteries. Options: Readout in Si units: Sv and Sv/h. X-Ray-SLV is optional X-Ray compliance sleeve with 10cm2 aperture.